Today’s card was featured at my fall Bingo event. I started with a general idea of a card and started adding tons of texture! 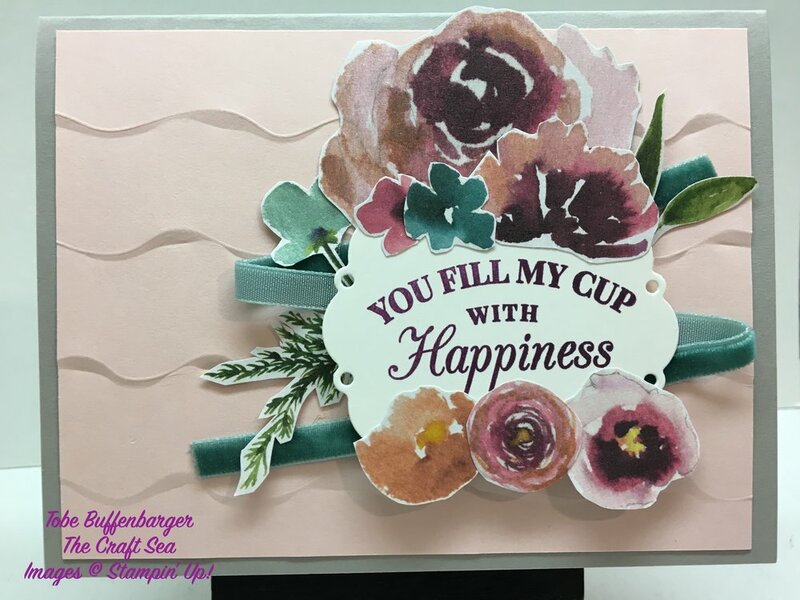 I had seen a card featuring stamps floral images surrounding a pretty stitched shape framelit, but I realized that I didn’t have any of the floral stamps that I saw. So I improvised and fussy cut these beautiful shimmery flowers from the Frosted Floral DSP pack. I love the colors and textures on this card so much. If I had to pick, my favorite piece is the Tranquil Tide Velvet Ribbon. So beautiful and must touch!